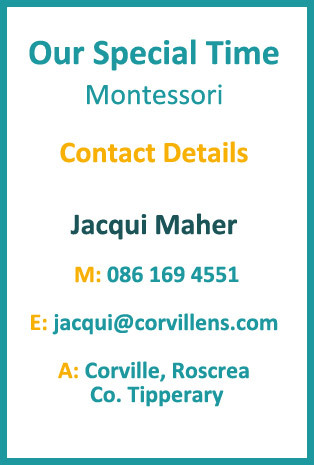 Our Special Time Montessori is a well established Pre-School and After School Care service, led by Ms. Jacqui Maher a graduate of St. Nicholas Montessori College, HDip ECE&C for the past 25 years. 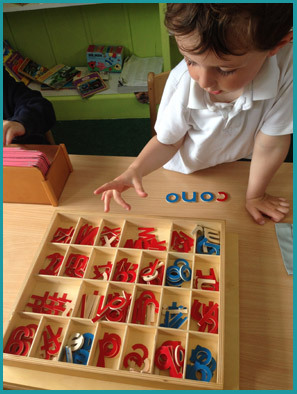 Jacqui’s vast experience gained during these years includes valuable new learning brought back from her Continual Professional Development commitment, where she spent time teaching in a Montessori pre-school in New Zealand. Our bright fully equipped Montessori classroom and secure outdoor play area are designed to meet the needs of our precious young minds. 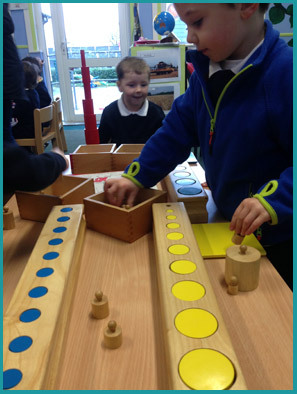 We follow Dr. Montessori’s philosophy which embraces Aistear and instills in the child an early love of learning and ignites their curiosity about the world they live in, its people and their place in it. 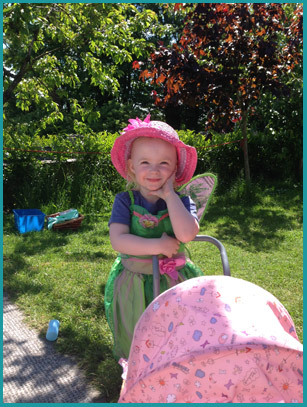 Our service is a happy, secure, friendly, fun and inclusive space where we all work together to ensure the holistic development of the children. 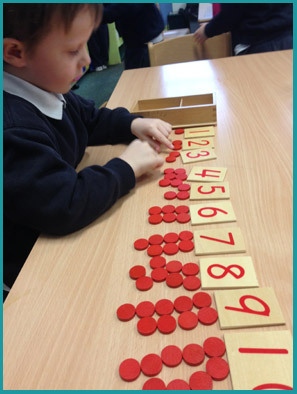 Practical Life, Sensorial, Language, Maths, Geography, History, Drama, Dance, Culture, Science, Social and Emotional Development, Nature, Art and Crafts, Physical Education. 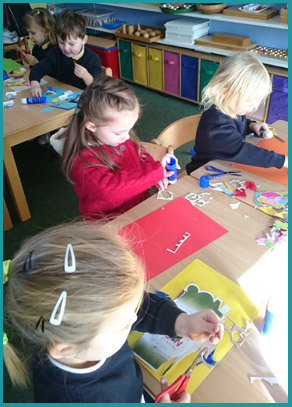 Healthy Snack, Arts and Crafts, Play Time, Cookery, Drama, Games, Chill out Zone. 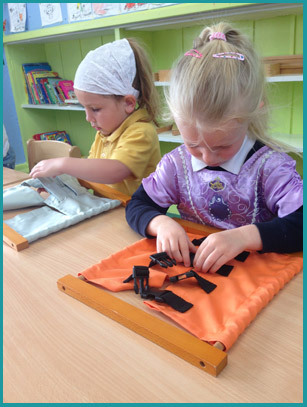 High quality early years education and afterschool care. Highly qualified, motivated, dedicated staff. Full use of National School’s sports equipment, hall and playing field. Seamless transition to Big School. School Concerts, School Tours and Santa Experience.